Organic Crew to the call!! Home/Fifteen Trees, Schools, Tree Plantings, Tree Plantings in Victoria/Organic Crew to the call!! Last month we were sooo close to reaching a milestone number of trees. We were only 45 trees short of 130,000. So, we put the call out to Instagram to rally the troops and we were not disappointed. Mel Lechte, Founder and Director of Organic Crew responded with a pledge of 45 trees. And we couldn’t be happier. We love this company and their philosophy .. ‘the production of luxurious designs, without compromising the planet’. Organic Crew is an ethical, sustainable and organic brand. They are committed to sustainable garment manufacturing. From the cotton fields to construction, they ensure even the working conditions of their manufacturers are of the highest standard within the industry. We organised the trees to go to Alison Welch and together with the Sale Girl Guides Group all trees were planted on the the day. 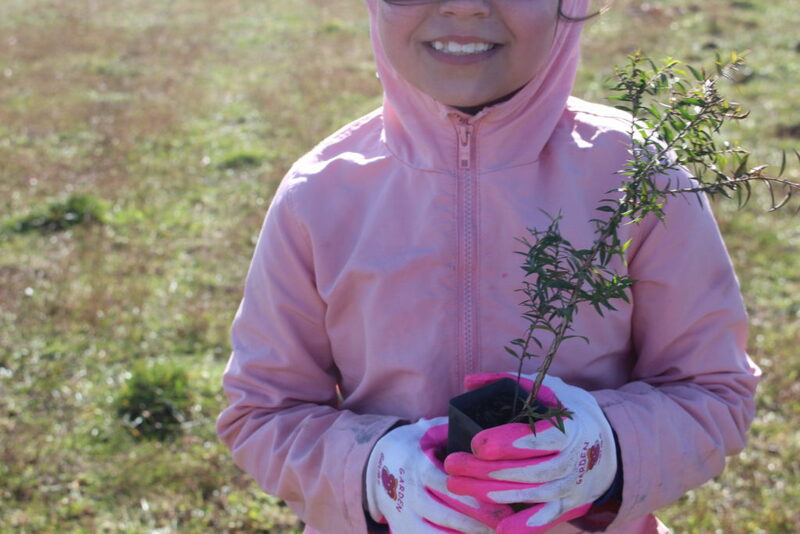 Well despite the cold weather… tree planting day went exceptionally well with enough breaks of clear skies to get around all seedlings into the ground. The Girl Guides certainly made for a lively time. Their ages ranged from around 6 to about 12 years old. Some of their parents came too, plus a couple of locals. The kids did a pretty amazing job. Once again thank you to Mel and the team at Organic Crew. I couldn’t resist calling into their Malvern store and meeting up with store manager Lou. With gum leaves on the front counter and a freshness and calmness about the shop … it is a beautiful space. 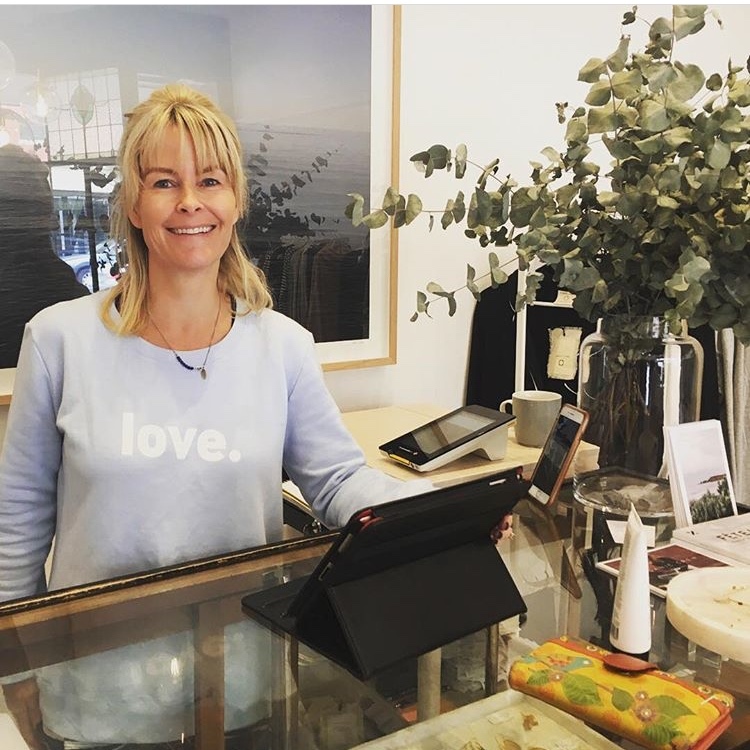 And knowing that all their cotton is organic and fair trade … this is absolutely the place to buy sweaters, tees and track pants. Lou at the Malvern shop. By Colleen Filippa|2018-12-06T14:24:52+10:00December 6th, 2018|Fifteen Trees, Schools, Tree Plantings, Tree Plantings in Victoria|Comments Off on Organic Crew to the call! !